Shave 'em to Save 'em Passports! The Livestock Conservancy is hoping to preserve endangered sheep with its Shave ‘Em to Save ‘Em program that encourages fiber artists to work with wool from rare sheep breeds. Genetic diversity is just one reason to preserve heritage sheep. Heritage breeds have survived through the ages because they are naturally hardy. Of particular interest to fiber artists are the different types of wool that each breed produces. Some have a softer wool that’s excellent for garments, while others have wool that’s more suited to making rugs. Some have white wool that takes well to dyes, while others come in a wide variety of natural colors. 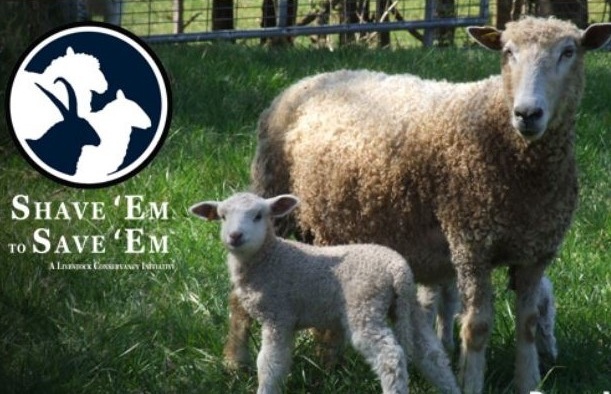 More information about the Shave ‘Em to Save ‘Em Challenge or about sheep breeds on the Conservation Priority List are available on the Livestock Conservancy website. Yes, there is a Fiber Artist Passport!